Welcome to the Hamptons, where fireworks are about to go off – guests are gathering at the old Jordan estate at 210 Amlent Avenue for Fourth of July Festivities with their host, Mrs. Jordan, a retired actress. But one unexpected guest, Judah, a young poet, is about to ignite a firestorm of events. In his search for the truth, he will unearth long kept secrets that will lead to unexpected consequences. This is the sixth in a series of “behind the scenes” posts about the stuff that really goes into producing a show in NYC. You can check out our previous posts here and click here to be notified when the next one goes live. Karl Hinze is a music director, vocal coach, arranger and accompanist in and around New York. As a composer, he has penned songs for productions of Brecht's A Man's A Man, Euripides' Alcestis, and Lorca's Yerma. He is a member of the BMI Lehman Engel Musical Theatre Workshop. Recent collaborations include 210 Amlent Avenue, a new musical with playwright Becky Goldberg, and Are They Edible?, an experimental puppet show by Jeanette Yew. He has also directed productions of Urinetown, Yerma, and Antigone. 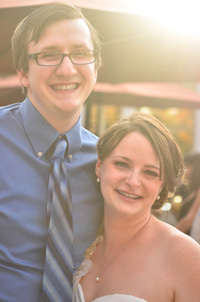 Karl holds an MA from Stony Brook University and is currently PhD candidate in Music Composition there. He cannot do a cartwheel. Becky Goldberg holds an MFA in Dramaturgy from Stony Brook University. She is on the faculty at both Stony [Pullout: ] Brook University and Suffolk County Community College. 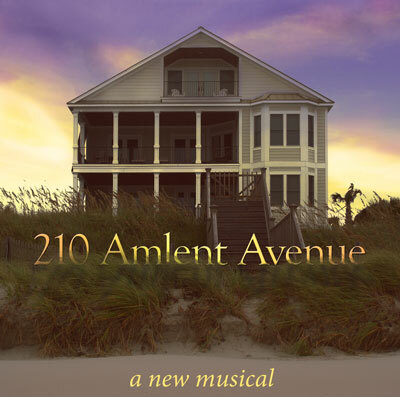 She is currently writing the book of a musical entitled 210 Amlent Avenue, with composer Karl Hinze. Her shorter plays have been featured in several reading series, and been finalists in multiple competitions. Her other recent production experience includes dramaturging José Rivera's Marisol, David Lindsay-Abaire's Rabbit Hole, and Kenneth Longergan's This Is Our Youth. She hopes to one day spontaneously morph into Tina Fey.